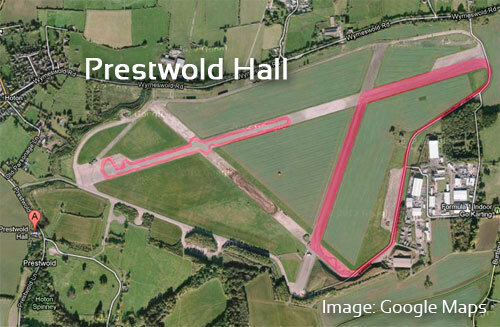 Ideally	located near Loughborough Leicestershire, Prestwold Hall is an ideal location to do your driving experience. With a long history in providing top quality experiences thanks to their superb instructors and jaw dropping array of supercars to drive. Porsche 911, Ariel Atom, Nissan GTR, Ferrari 458 Italia, Lamborghini Gallardo, Murcielago and single seater race cars to name a few! The venue itself offers two tracks,which feature a good variety of long straights and high speed corners to test the cars and your skill. Also available ar 4x4 and Rally stages. Additional facilities that Prestwold Hall offers include conference / meeting rooms, which are great for corporate event or other large groups. Catering is also available for special clients and events. Overall it is a great venue to drive a supercar which offers ways to remember your day including DVD videos of your onboard footage. A superb gift, and with the range of cars available there truly is something for everyone. So go ahead and treat yourself or a friend/loved one.